Fnatic are a world-famous eSports organisation, but they’re also owners of a new brand of gaming peripherals. 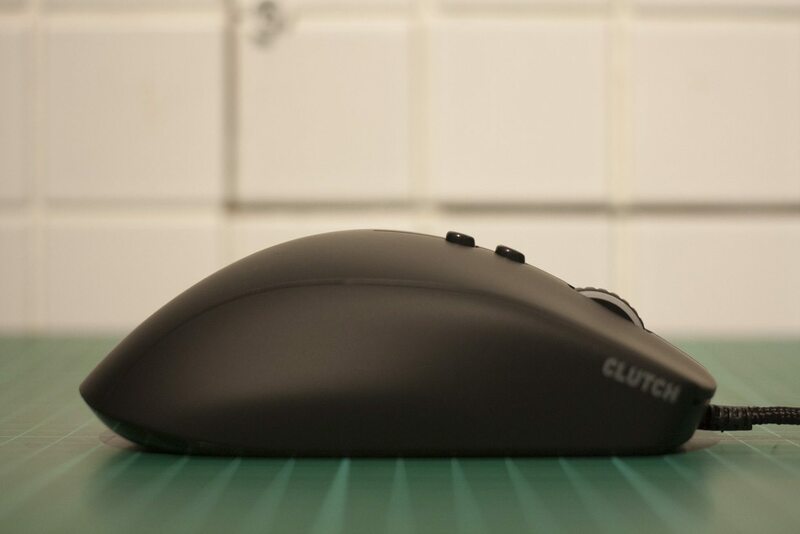 This is Fnatic Gear’s second mouse, after the well-received Flick, and it’s called the Clutch. 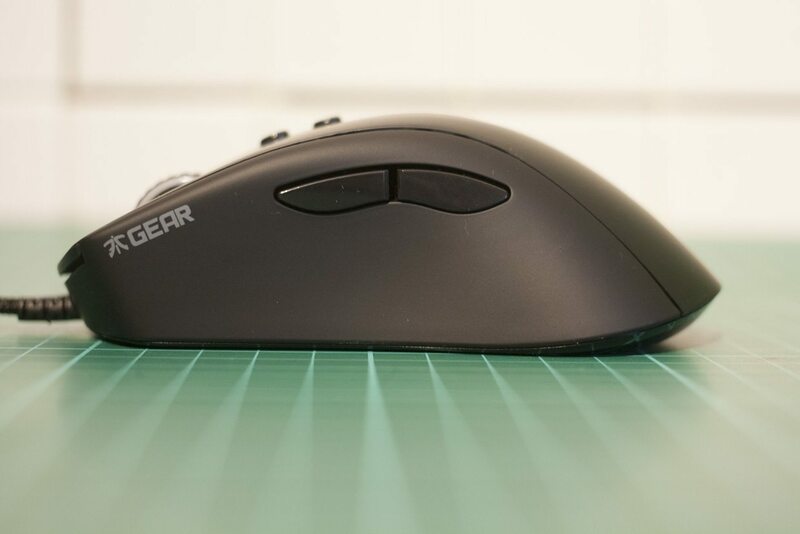 Its sleek body holds a Pixart 3310 optical sensor, an RGB LED backlit scroll wheel and Omron switches. It’s a strong start, but does it add up to a peripheral worthy of a pro gamer? An excellent mouse, the Fnatic Clutch lives up to its name with eSports-grade precision and comfort. The mouse looks the part too, with a sleek design and fun RGB lighting on the scroll wheel. The software has a few limitations and the DPI buttons are a little too prominent, but there’s little to hate and lots to love on the Clutch. 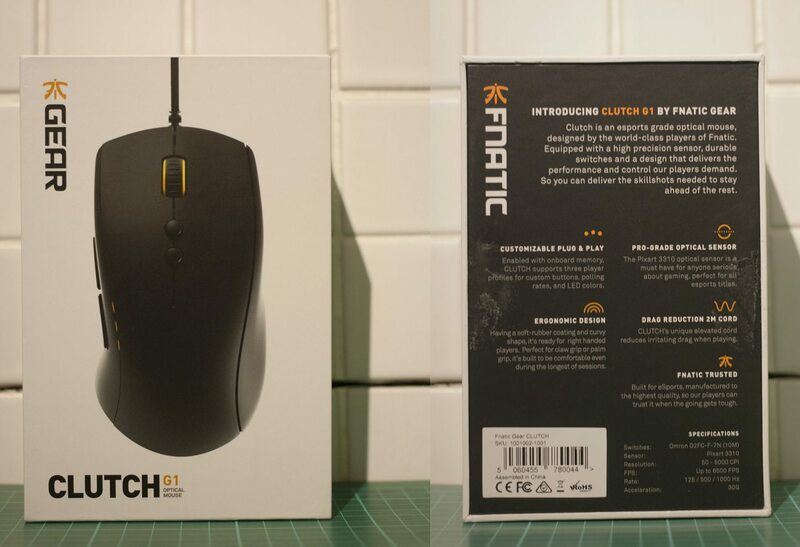 The Fnatic Gear Clutch is an attractive mouse, with a sleek, slightly asymmetrical design that will suit right-handers. Compared to two SteelSeries mice on my desk, it’s between the Rival and Sensei in size. It is clad entirely in soft touch plastic. 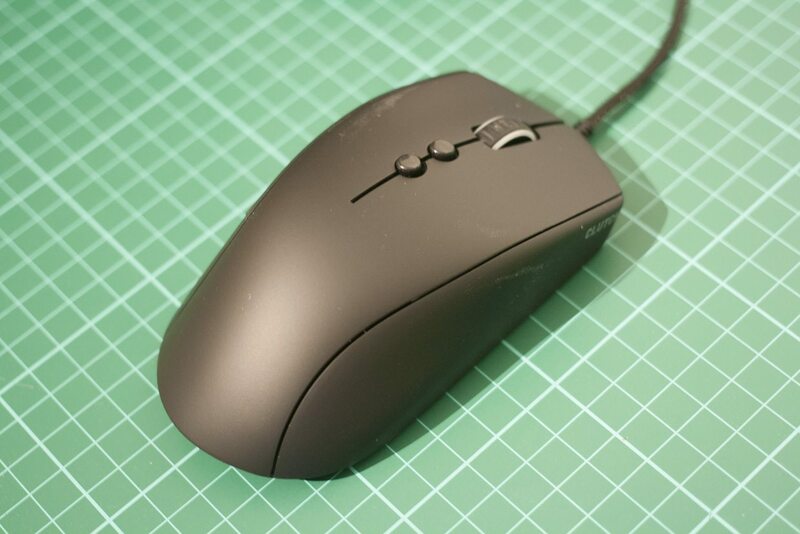 The body of the mouse is made from aluminium frame, and it’s light too, weighing approximately 110 grams. 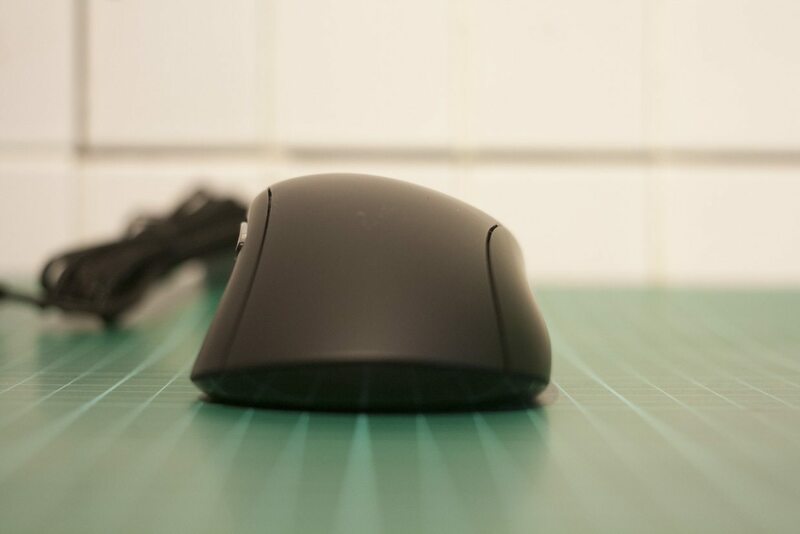 On top, we have two long and slender mouse buttons, with an RGB LED-backlit scroll wheel between them. 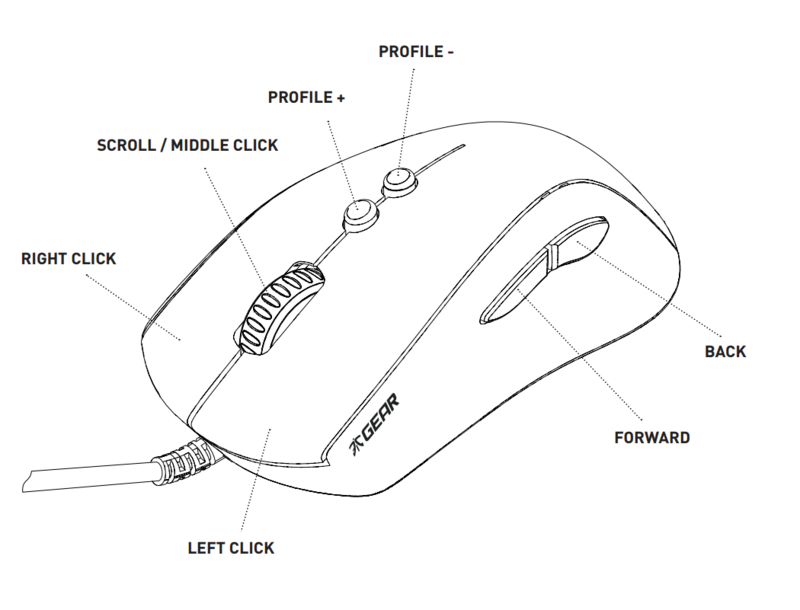 Below the scroll wheel we have two (raised, but small) DPI adjustment buttons. 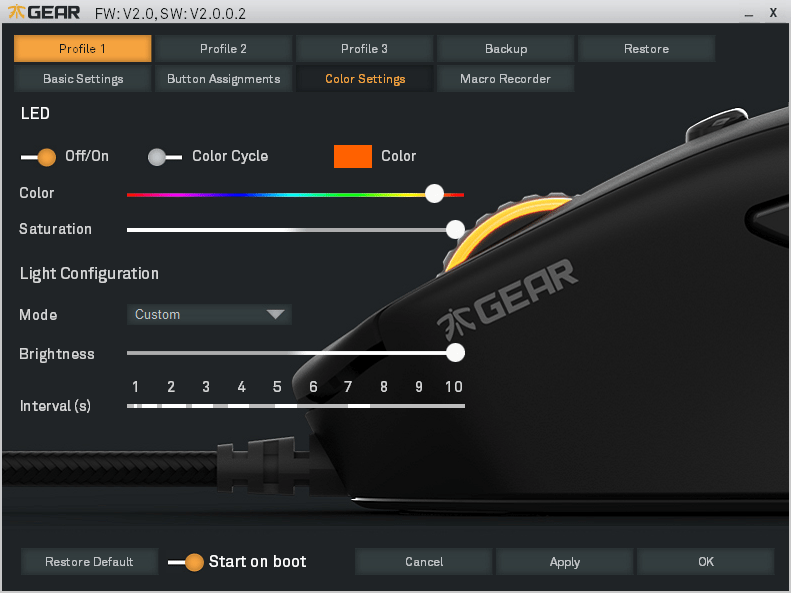 On the left side, we have our two side buttons, the Fnatic Gear logo and a trio of orange LEDs, subtly tucked into the divide between the top and side of the mouse. These are lit to indicate which DPI level you are currently on; by default the lowest is 400 DPI but these can be changed in software. The right side has naught but the CLUTCH wordmark. Some mice have textured grips here (and on the left), but the Clutch does without — fine by me. Turning our attention to the bottom, we can see a glossier black plastic, with the sensor in the centre position. A trio of skates elevates the body of the mouse from the mouse pad. Finally, the mouse cable is braided and tilts upwards slightly where it joins the mouse. 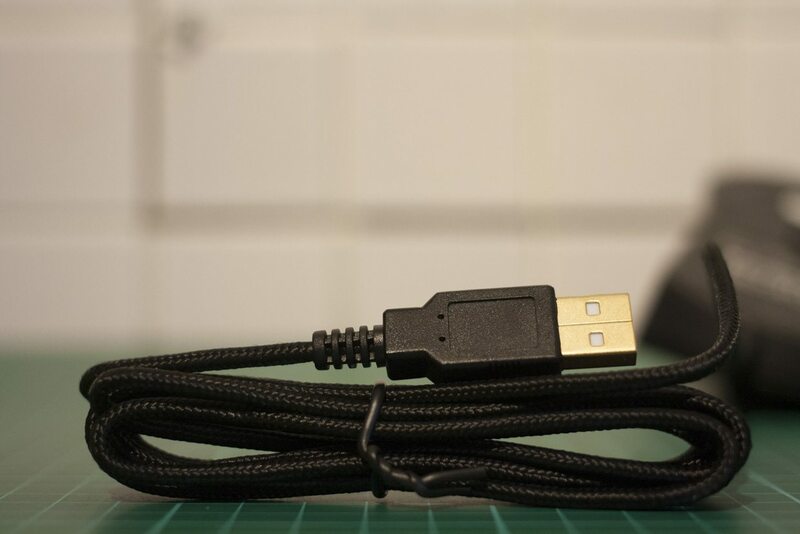 After two metres, it terminates in a gold-plated USB connector. The Clutch looks sleek and comfortable, a professional and not too flashy gaming mouse. Next, let’s put it to the test. The Clutch doesn’t come with any driver USB sticks or CDs, but you can download the software online (here, as of writing). 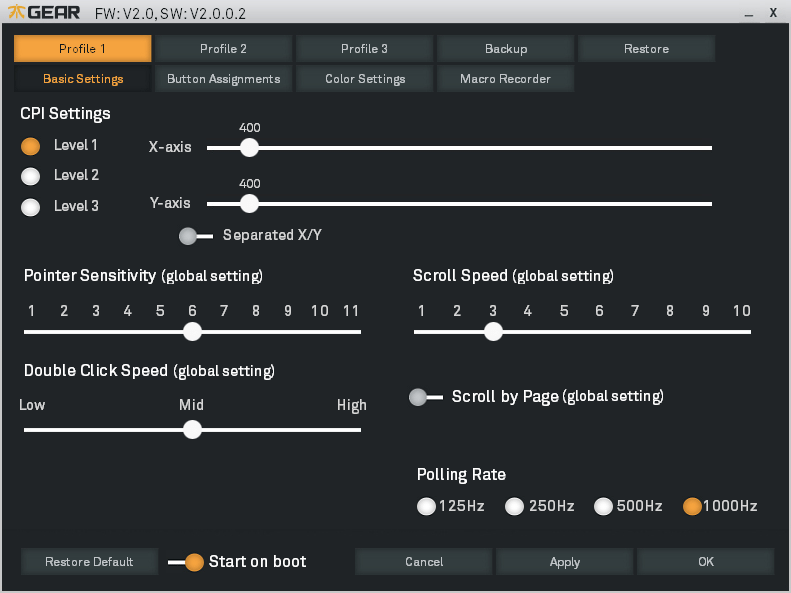 It is fairly basic in its interface (which is nice), and includes pretty much everything you would want to adjust (apart from lift-off distance). First up, we have the basic settings screen, which helpfully includes Windows settings so you can make sure these are set up correctly. I recommend 400 or 800 DPI for most games, and these are the default options for levels 1 and 2. Next we have button assignments. All buttons can be rebound, and can run macros, press keyboard keys, and perform special functions like triple clicking, showing your desktop or clicking continuously. 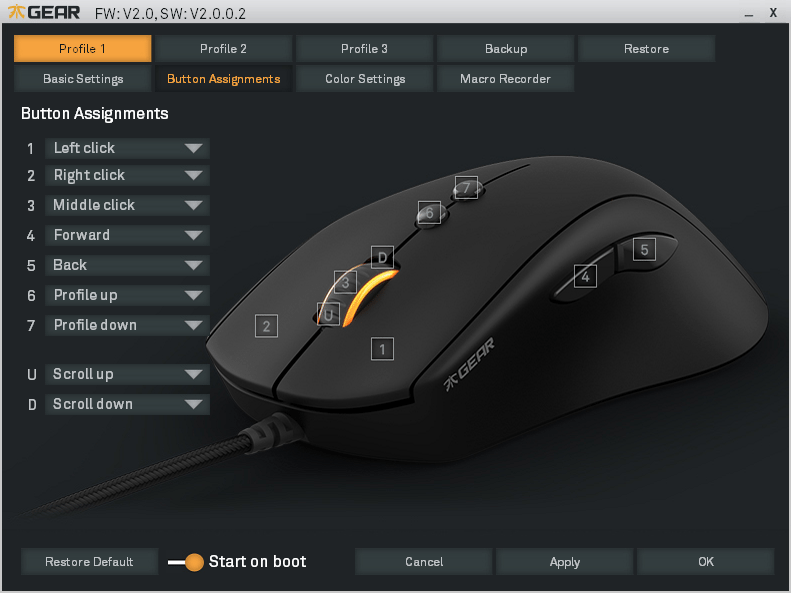 Colour settings is the third pane, and allows you to set the colour of the scroll wheel LED. You can choose from the full spectrum of colours, as well as different lighting modes (full brightness all the time, heartbeat, fade in, etc). There doesn’t appear to be a way to set the colour of the profile / DPI indicator, interestingly. 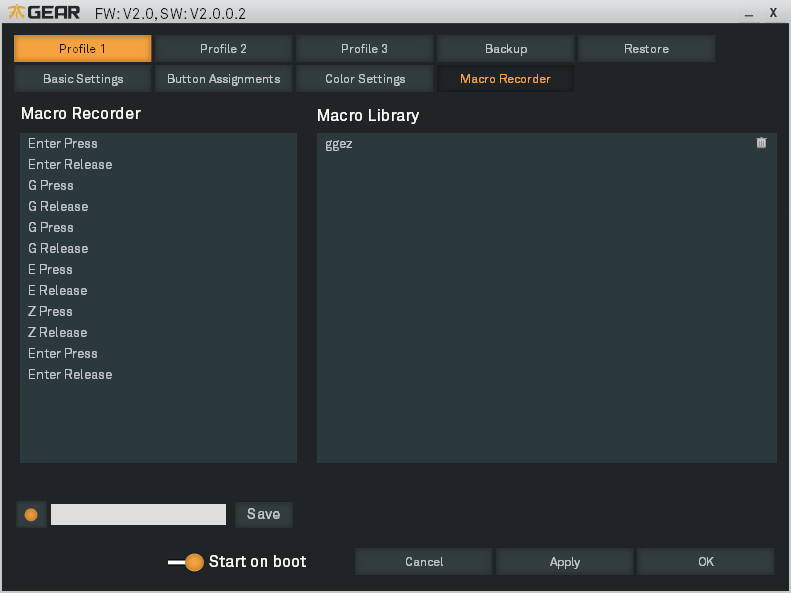 The final screen is for recording macros. It works pretty simply — hit the orange record button in the left corner, type whatever you like, and press it again to stop. There’s no way to add delays, but otherwise it’s functional. That’s it. It’s a pretty clean interface; a few missing options but everything that is here is at least easy to find. To test out the Clutch, we went straight for our competitive game of choice: Counter-Strike! The redesigned Inferno map has just been added to the game, so it’s the perfect excuse to spend a few hours (or 20) testing out a new peripheral. Normally there’s a period of adjustment with a new mouse, but the Clutch is one of the rare exceptions that just slots right in and feels comfortable right away. 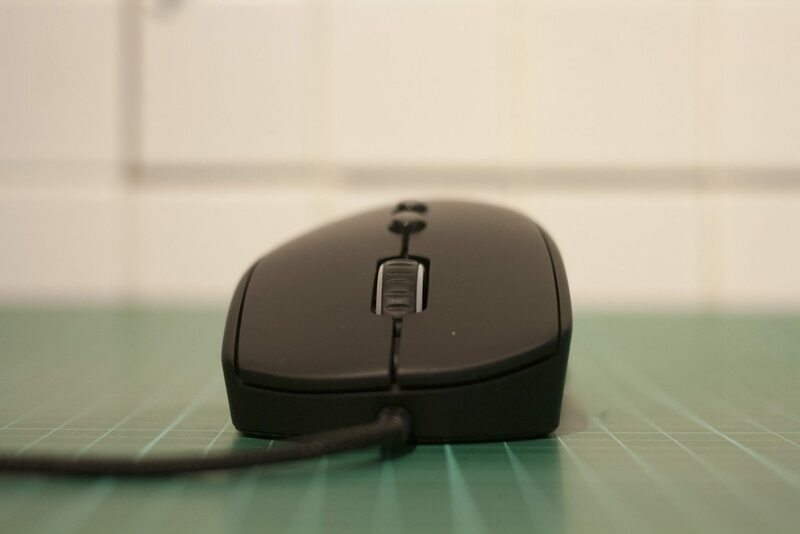 Some of that is down to the size and shape of the mouse, which is quite similar to the Sensei, but something has to be said for the quality of the mouse and its sensor as well. The Pixart 3310 sensor is well respected by mice aficionados, who eschew high DPIs, acceleration and interpolation in favour of the ultimate 1:1 relationship between mouse and on-screen movement. In our testing, the Clutch performed admirably. The sensor allow precise tracking and flicking, while the skates allowed it to glide quickly across our Oittm extended gaming mouse pad. The side buttons are comfortable to reach for grenades and the like, and the DPI adjustment buttons were readily accessible too. In fact, they may be a bit too accessible; I’d have preferred something a little more low profile as they’ll rest under your finger while scrolling the mouse wheel. Overall, we faced few issues and had a lot of fun with the Clutch. It has no extraneous features, just solid and dependable performance. The Fnatic Clutch surprised us with its quality. With a few software upgrades, this could be one of the best gaming mice on the market. Try it out and let us know what you think!